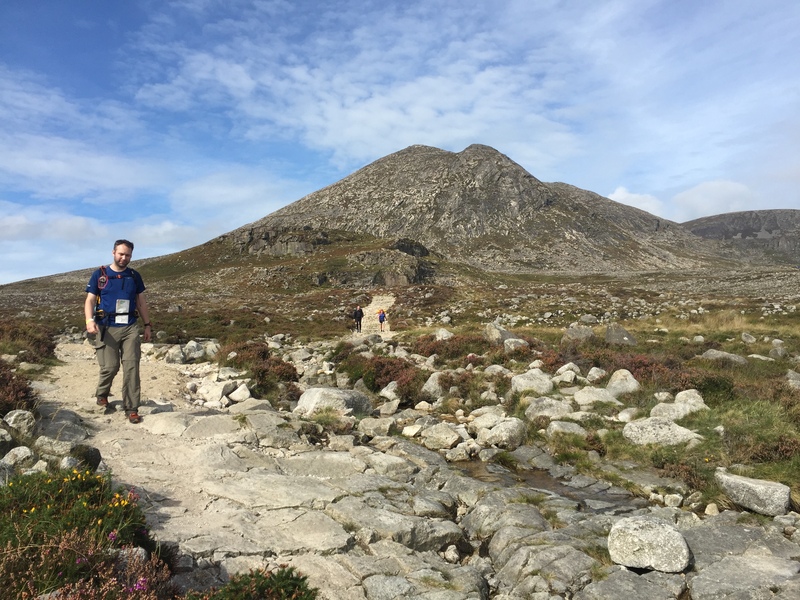 I gingerly stepped through the bog, (well as gingerly as a man of my size carrying 10 kilos of rucksack could step) every squelching hop taking us closer to a firmer path that we could follow to our first marker of the day. The squat, rock strewn bulk of Slievenaglogh watched on, and gave no warning of what was about to befall me. Squelch, OK. Squelch, OK. Squelch, OK. SPLASH!! Not OK!! I suddenly found myself up to my nether regions in freezing cold bog water, the shock almost taking my breath away, as I clutched at the moss and bog grass in front of me to escape my stagnant watery trap. I could feel no resistance against my feet, no bottom to push against, so hauled myself forward with my arms, and got a knee up and out. Trousers soaked, 2 boots full of water, I dragged myself onwards, getting another slightly worse soaking in the process! I wasn’t even one hour into the day, this was not a good start!! 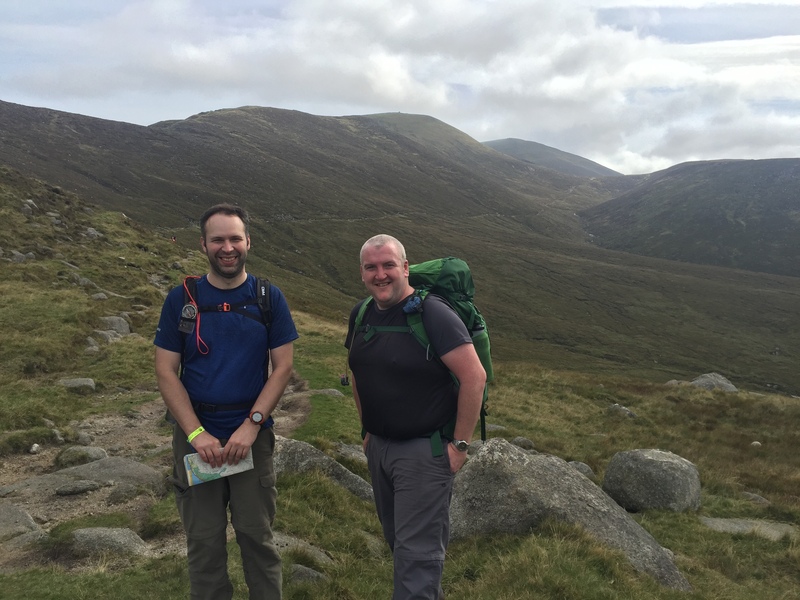 Along with Eamonn, I was on day two of the Mourne Mountain Marathon (MMM), the annual 2 day test of fitness and navigation that lures many teams of 2 to South Down each year. 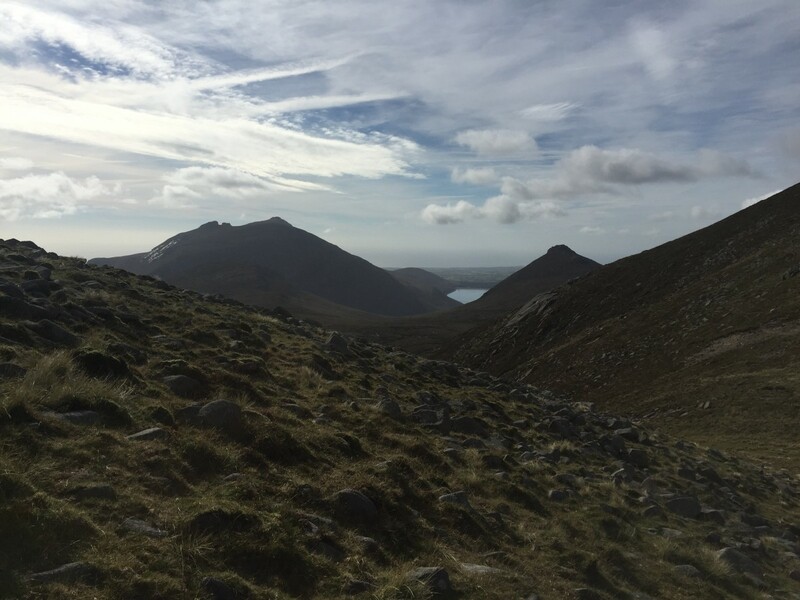 They pit their skills against the challenging terrain and weather of the Mournes, and the challenging routes laid out by the MMM team for the various classes that are competing. Eamonn and I were in ‘C’ class, having successfully completed the same class back in 2014. 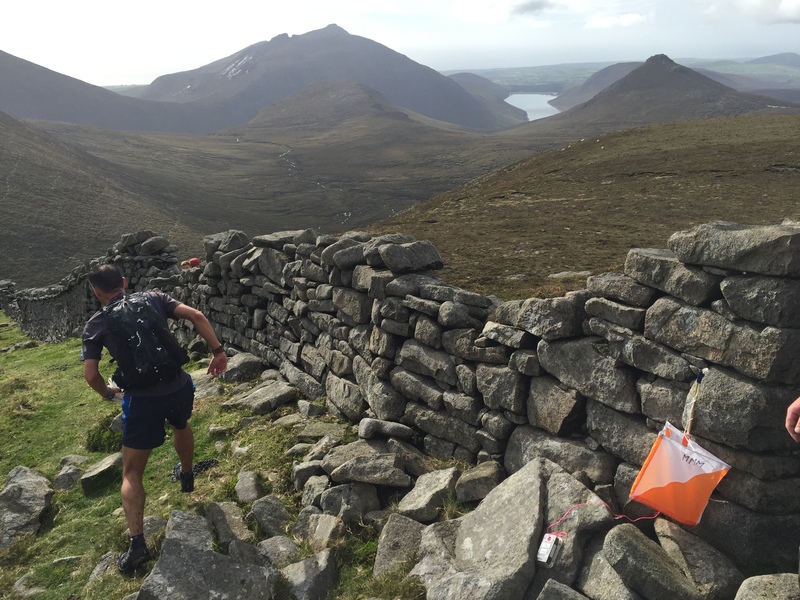 Prep for the event had gone reasonably well, although hadn’t got as much training in as I wanted and needed to, for a number of reasons, but I felt I was strong enough to get the course done. The morning of the event came around all too quickly, and dawned dry and bright, and after registration and kit check, we were bussed to fofanny dam for the start. Tents of every colour and shape were springing up on the green areas around the visitors centre, those who already pitched lay on their sleep mats as they tended to their feet or got fed and watered. 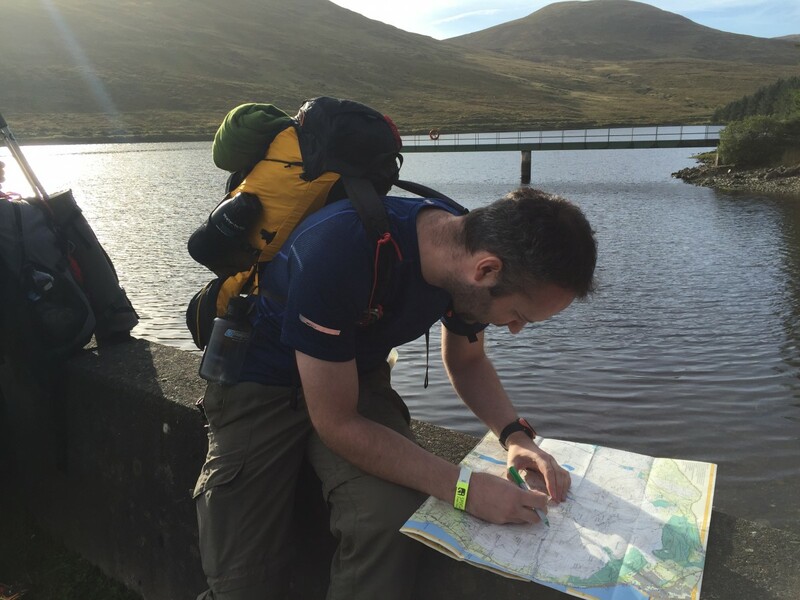 We got a few strange looks from some families out enjoying the Saturday evening sunshine at silent valley, as they wandered through the camp. Our own tent pitched for the night, and a change of socks etc, and we got the food on the go. I’d carted two large steaks with garlic butter around with me all day, but when we tasted them, the extra effort was well worth it! 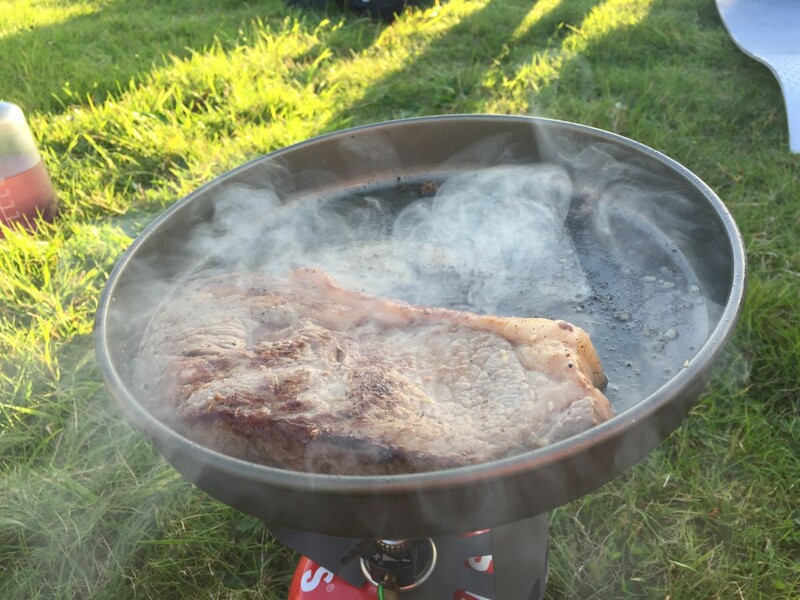 We had a few comments and looks, especially when the smell of garlic butter starting drifting through the campsite. The two guys camped next to us joked on how they’d really been looking forward to their dehydrated chicken curry, and that we’d ruined it by producing these steaks, but it was all in good humour (I hope!). After feasting on steak baps and supernoodles, and drinking plenty of water, it wasn’t long before the sun started going down. We sat for a while and chatted, watching a few headtorches from some later finishers negotiating their way down to the campsite, before retiring early for the night. I slept fitfully, waking a few times during the night, and eventually giving up on any more sleep at about 0545, so answered the call of nature to avoid the queue at the portaloos later! Dawn was well on its way, the summit of Binnian clearly visible, wisps of cloud caught between it’s rocky torrs, like the bottom jaw of a gap toothed giant with candy floss stuck in his teeth. The early start allowed a leisurely breakfast and plenty of time to get the gear all packed away, my rucksack a good bit lighter than yesterday, but still probably more than good bit heavier than most of the competitors that lined up for the mass start at 0830! 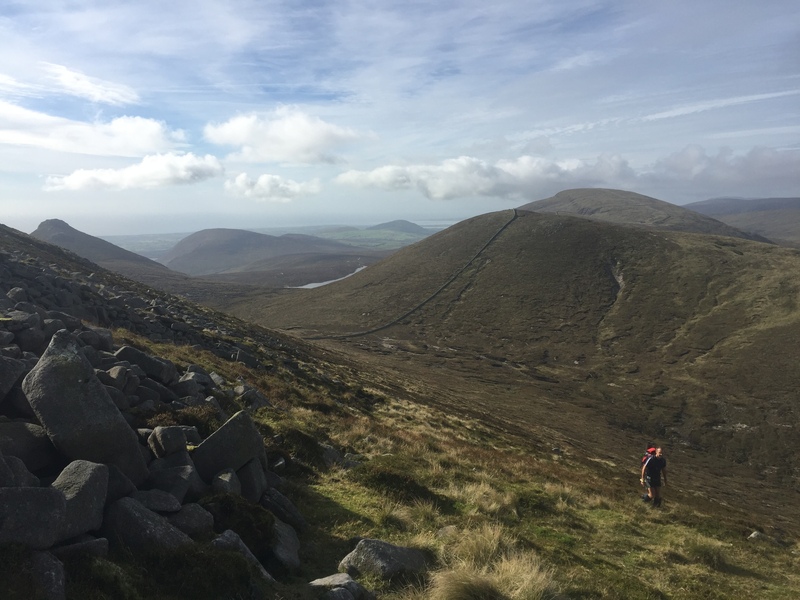 The start of the day was pretty uneventful up until the aforementioned double dip in the bog below Slievenaglogh, after that it seemed to be a tour of almost every bog the Mournes had to offer, with some hard sustained ascents. None of this was made any easier by the weight of my sodden boots, which felt like 2 lumps of lead (I weighed them when I got home, and found they weighed nearly a kilo EACH!) and the fatigue I was beginning to feel, but I pushed on regardless. The weather closed in on us after our 3rd marker of the day, and came and went, until driving rain and strong winds closed in on Bearnagh, this, along with reduced visibility adding an extra challenge. Rain beat a manic rhythm against the hood of my coat, as we made our way up past 600m. My pace had slowed by this stage, and I was worried we might miss the cut off time at the next checkpoint, but I ploughed on regardless. 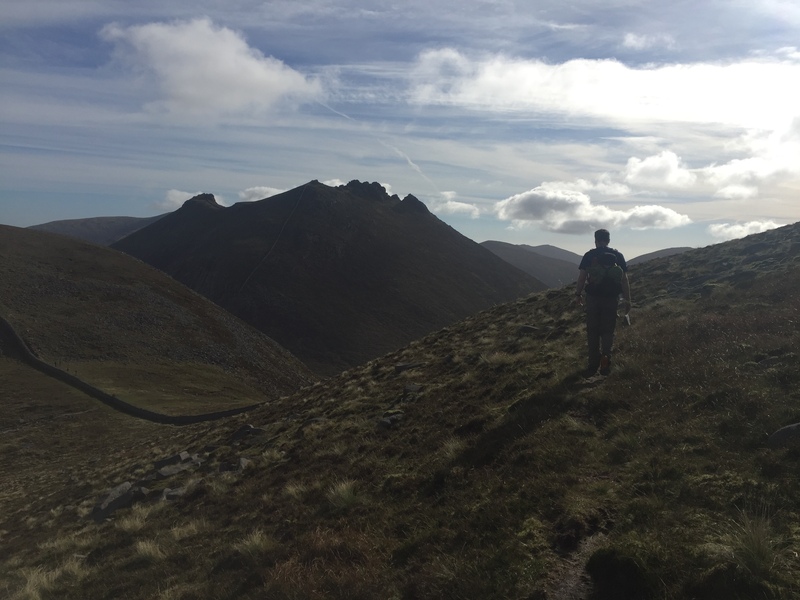 The journey around Bearnagh, picking up another marker on the way, went quite smoothly despite the conditions, and we made the marker with about 45 minutes to spare, which lifted my morale and put a bit of extra energy into my legs, we were nearly there! One last checkpoint at the back of Luke’s mountain, and a muddy slide/descent down into Tollymore, the tenth and last marker of the day, and we made our way to the finish at the Tollymore Mountain Centre, where we had started just the day before, but it seemed much longer ago than that! The centre was mostly deserted, but I got my coveted t shirt and car sticker combo, and a sandwich and shower (in that order). 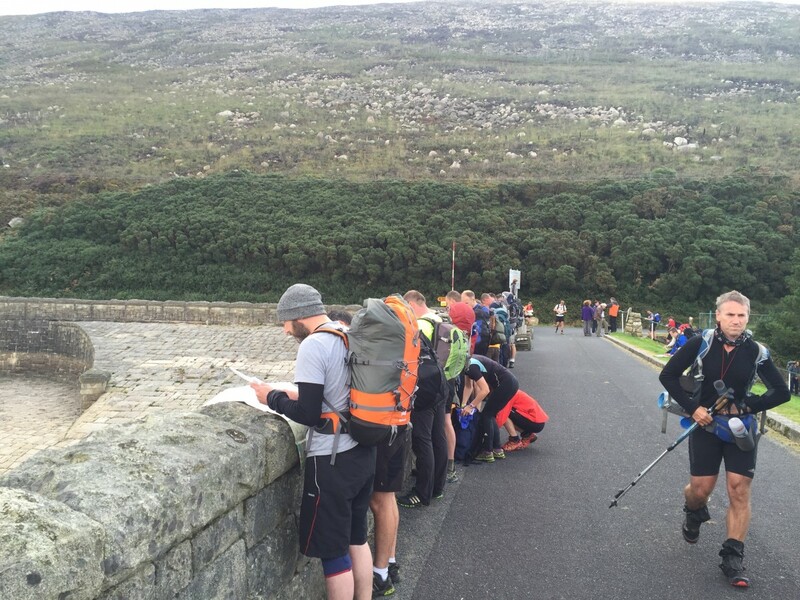 My Mourne Mountain Marathon adventure was over for another year! To finish, I’d like to thank the organisers and marshals for all their hard work, and for the great event they organised and ran.